Canon has announced the development an APS-H-size (approx. 29.2 x 20.2 mm) CMOS sensor incorporating approximately 250 million pixels (19,580 x 12,600 pixels), the world’s highest number of pixels[i] for a CMOS sensor smaller than the size of a 35 mm full-frame sensor. When installed in a camera, the newly developed sensor was able to capture images enabling the distinguishing of lettering on the side of an airplane flying at a distance of approximately 18 km from the shooting location[ii]. With CMOS sensors, increases in pixel counts result in increased signal volume, which can cause such problems as signal delays and slight discrepancies in timing. 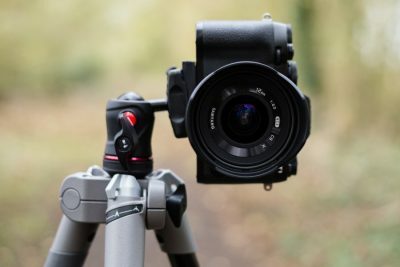 The new Canon-developed CMOS sensor, however, despite its exceptionally high pixel count, achieves an ultra-high signal readout speed of 1.25 billion pixels per second, made possible through such advancements as circuit miniaturisation and enhanced signal-processing technology. Accordingly, the sensor enables the capture of ultra-high-pixel-count video at a speed of five frames per second. 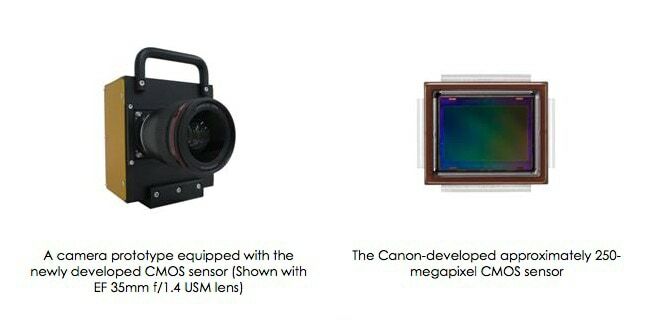 Additionally, despite the exceptionally high pixel count, Canon applied its sensor technologies cultivated over many years to realise an architecture adapted for miniaturised pixels that delivers high-sensitivity, low-noise imaging performance. [i] As of September 7, 2015, based on a Canon survey. [ii] Image capture employed a combination of optical and digital zooming while distinguishing of image content was realised through the magnification of an approximately 1/40,000th-sized area of the captured image.